What's less than "Obamacare Lite," but more than nothing? That's going to be the key to whether Republicans can bring their factions together to actually pass a repeal bill. They're not going to get a lot of their members with a straight repeal and no replacement, and House Speaker Paul Ryan is still pitching his "Better Way" plan as the template for their replacement goals. 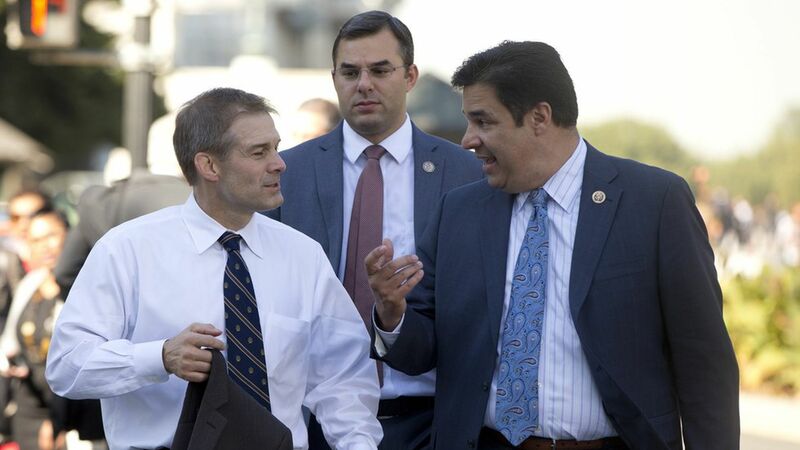 But the Freedom Caucus and other hardliners are making it clear they don't want to pass anything that could be seen as "Obamacare Lite," as Rep. Raul Labrador put it yesterday. Outside conservative groups have been warning about that too. They don't want Republicans to try to measure their replacement by Democrats' goals, including trying to cover as many people, because they don't think Republicans will ever beat Democrats at that. Yes, but: Not everyone in Republican circles is sweating it. "We're doing the same repeal we did last time and adding as much replace as possible, which is what everyone says they want," one senior GOP aide told me. And don't forget, the conservatives have every incentive to push for "repeal first" as much as they can — but no Republican has any incentive to let the whole effort fall apart.